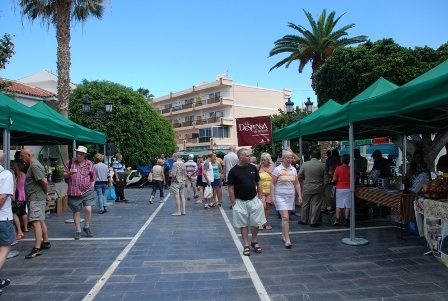 This past weekend a local produce sale was held in the Plaza Bouganvilla, Los Gigantes. 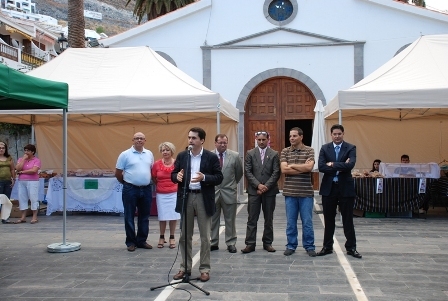 It was an event in which farmers from different parts of the island could show their products (honey, cheese, pastries, wine, potatoes … ) The event was organized by the Local Development Agency, Tourism, the Department of Agriculture Hall of the Historic Village of Santiago del Teide and Tenerife Pantry. The Pantry is a project of the Tenerife Cabildo de Tenerife and Tenerife Rural Foundation. The aim is to promote the local produce of the island. 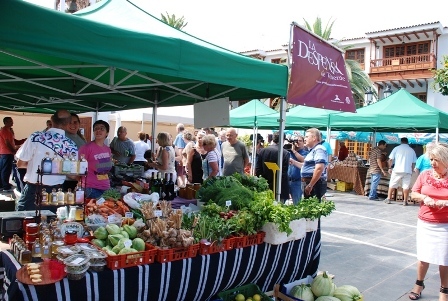 Among the initiatives under this project include the creation of the website (productosdetenerife.com) where users can access the different products of the land with the possibility of purchasing from home.